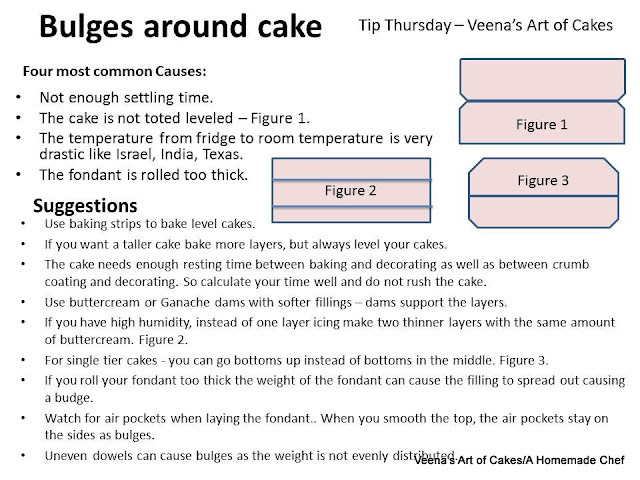 Have you made a cake and then had the issue of bulges around cakes. The type that actually looks ugly and embarrassing? What worst is that you could have the whole cake decorated and complete, waiting to be picked up by the client. Suddenly you see a pregnant belly emerging on one side of the cake! Often you can just take a pin and prick it to let the air trapped in release. But often if this bulge sits for a while you will notice it does stretch the fondant too. So when you release the air it now has a flat but wrinkled fondant. Another issue with this some times you have a smooth fondant cake with no decorations to hid the pin prick. 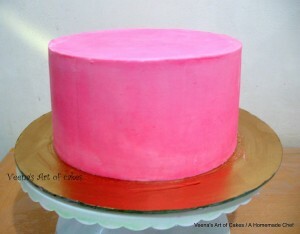 On fresh fondant a pin prick can be smoothed over but on a dried fondant that little prick looks like a large hole. Bulges around cakes are usually the result of the pressure built up inside the cake from the time it’s baked to decorated. The best way to take care of the pressure first is to let you cake settle. Cool completely before you even start level, crumb coat or decorate. In this I have stated some causes and some suggestions which come from my own experience and some by reading on cake forums. I hope you will find them useful. 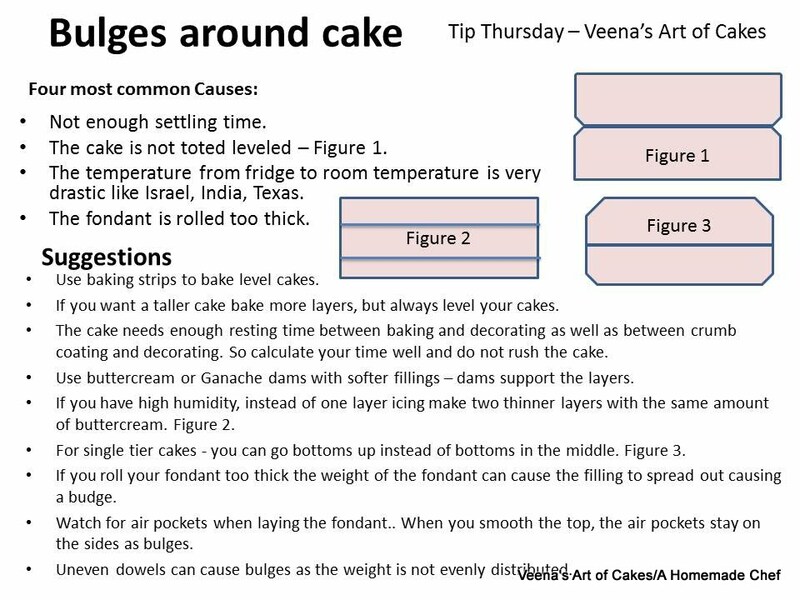 Now that you have read about bulges on cakes, I suggest you read my tips Timeline for decorating a cake as well as how to level, tort and fill a cake. All these are important steps into doing it right and avoiding issue later. You will find it all here on my blog or on my Facebook page.